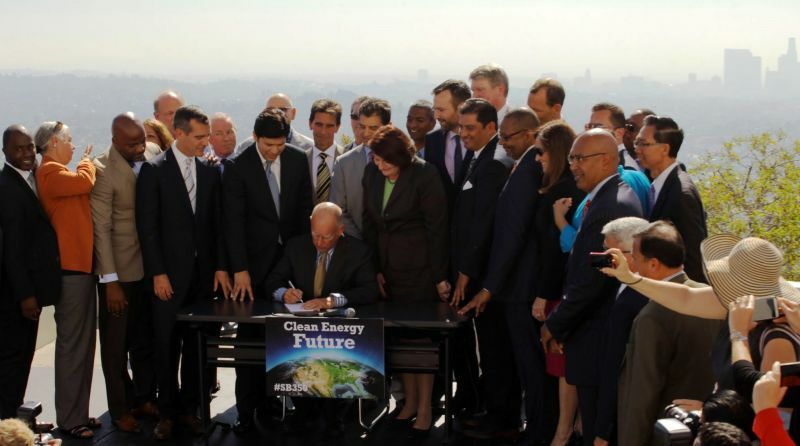 Governor Jerry Brown signs SB 350 at Griffith Observatory in Los Angeles. California Governor Jerry Brown has signed landmark legislation requiring the state to get 50 percent of its energy from renewables by 2030. Currently about 25 percent of the state's energy comes from renewable sources like wind, solar and geothermal. "It's huge," said Kathryn Phillips, state director for Sierra Club California. "It tells banks and utilities, and the people who make solar panels and windmills, that there is going to be a market. If you are thinking, 'Should I invest in oil wells in Bakersfield or solar panels in Fresno,' the solar panels are now the better bet." But energy experts say that it won't be easy to reach the legislation's goals in a state with 38 million people and a $2 trillion economy. "We're pushing the envelope hard," said James Sweeney, director of the Precourt Institute for Energy Efficiency at Stanford University. "It's going to be challenging. I don't know if it is going to be viable without major economic consequences." Key among the challenges: The sun doesn't shine at night and the wind doesn't blow all the time. Two other states including Hawaii and Vermont have higher percentages. Hawaii aims to adopt 100 percent renewable energy by 2045 and Vermont is seeking 75 percent by 2032. But California’s goal incorporates more energy than Vermont and Hawaii since the state is so vast and houses 38 million people. California has several large-scale solar farms including the 550-megawatt Desert Sunlight Solar Farm in the Mojave Desert that can power 160,000 homes. 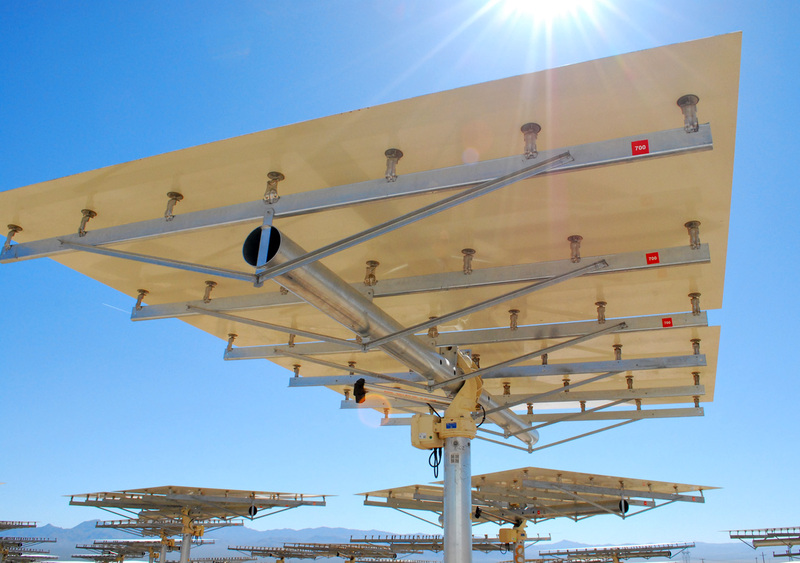 The Mojave also includes the 392-megawatt Ivanpah Solar Electric Generating System that powers 140,000 homes. In addition to renewable energy, the governor also recommended decreasing petroleum use and making buildings and heating fuels more efficient. "We are here because of oil and gas," Brown said, "That’s how we got here." "What has been the source of prosperity now becomes the source of our ultimate destruction if we don’t get off it."